McALLEN — The former Hidalgo County bailiff accused of forging a federal judge’s signature formally pleaded not guilty to multiple federal charges Wednesday, court records show. Oscar De La Cruz, who appeared in federal court Wednesday afternoon before U.S. Magistrate Judge Peter E. Ormsby with his new attorney, Mission-based Ricardo Salinas, pleaded not guilty to forgery and conspiracy to distribute cocaine. The defendant had been accused of forging former U.S. Magistrate Judge Dorina Ramos’ signature on a federal seizure warrant, court records show. Ramos retired in December 2017. 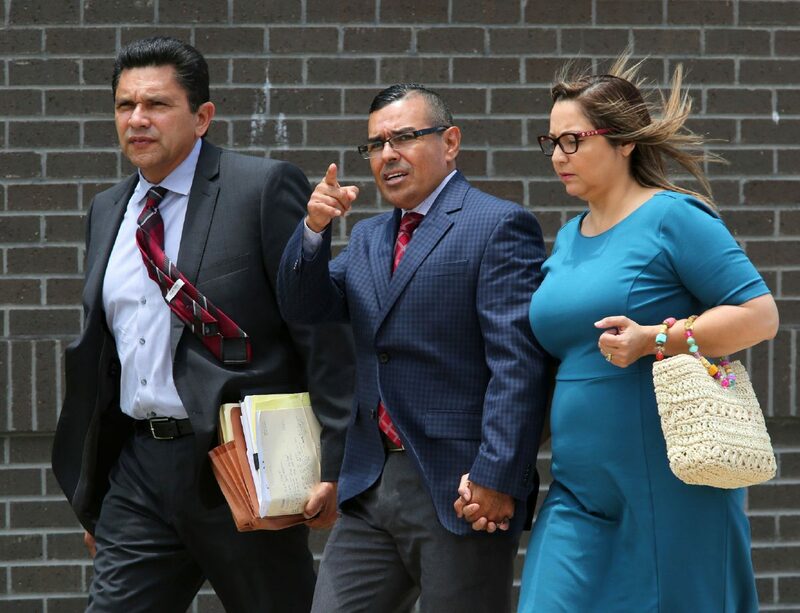 De La Cruz hired Salinas after his last attorney, Edinburg-based Santos Maldonado, was forced to withdraw from the case at a May 15 hearing, when the court ruled that a conflict existed as a result of Maldonado representing another defendant in the same case. In addition to the forgery charge, De La Cruz is tied to a conspiracy charge in which the government alleges the defendants conspired to possess and distribute more than 5 kilos of cocaine between January 2016 to February 2018, the indictment states. The government believes De La Cruz used his access to sensitive court and law enforcement records and documents to aide drug smugglers in stealing loads of drugs from suppliers back in Mexico. In De La Cruz’s complaint, individuals referred to as “CS 1” and “CS 2” outlined how they worked with an official at the Hidalgo County courthouse to get their hands on “fictitious” court documents helping them steal the substance from suppliers. Ormsby set jury selection in De La Cruz’s case for July 6, court records show. De La Cruz remains free on a $200,000 bond.